In order to advance clinical therapies, increased focus should be placed on designing physiologically-relevant in vitro models that recapitulate the physical and biochemical signaling inherent to the in vivo microenvironment. The extracellular matrix (ECM) microenvironment can be used to develop next generation in vitro models of various biological events, including vascularization, tumor growth, and disease progression. In particular, collagen polymers have been used to create tunable ECMs to study and characterize matrix biophysical properties and their effects on vessel morphogenesis in vitro. This work produced a 3D vasculogenesis model that demonstrated how the interplay between collagen-fibril structure and matrix stiffness can be used to: 1) guide lumenized vessel formation and stabilization by endothelial precursors, and 2) identify and study key signaling molecules involved in the mechanotransduction mechanisms that drive specific vascularization events. Similar approaches are being applied to the design and validation of 3D in vitro tumor models to increase the predictive power and efficacy of preclinical tumor models used for target validation and efficacy studies by: 1) incorporating 3D ECM materials, 2) employing alternative cell sources, and 3) testing high throughput screening (HTS) technologies in 3D. Additional work is ongoing to design models that better capture and evaluate functional outcomes related to tumor growth and metastasis that can then be used in screening protocols for drug discovery. These works combine to provide the foundation for an independent research program that operates at the interface of engineering design, in vitro model development, and technology translation for research and clinical use. It will focus on the innovative design and validation of physiologically relevant 3D biomaterial- and cellular-based in vitro models of cell- and tissue-level regulation and dysregulation in: 1) regeneration (single, multi-tissue), 2) normal and pathologic conditions, and 3) drug sensitivity and therapeutic response. Work will also be performed to balance physiological relevance and HTS capabilities of in vitro models to increase functionality and usefulness for validation and efficacy studies. Overall, the intersection of tissue engineering with disease-based research provides opportunities to unite with clinical and industrial partners to not only progress understanding of disease, treatment, regenerative medicine, and the predictive power of preclinical models, but also translate technologies from academic laboratories into therapies that impact human health. 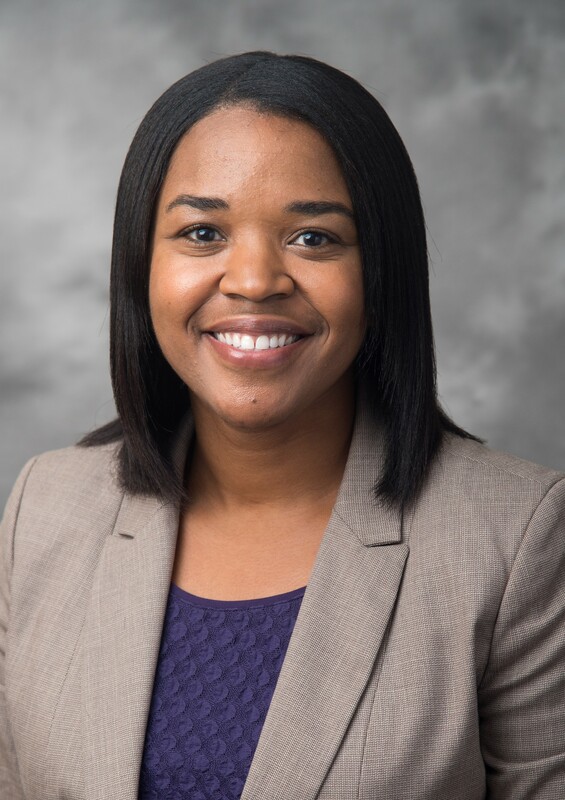 Dr. Catherine Whittington is currently a postdoctoral research scientist at Eli Lilly and Company in Indianapolis, IN. Her postdoctoral position is part of the Lilly Innovation Fellowship Award (LIFA) in which she works jointly between cancer cell signaling at Eli Lilly and the Weldon School of Biomedical Engineering at Purdue University to pursue innovative oncology research and increase the predictive power and efficacy of preclinical tumor models. Dr. Whittington is originally from Hallsville, TX and received her B.S. in biomedical engineering from Louisiana Tech University. She completed her graduate work at Purdue University in biomedical engineering where her dissertation focused on the study of cell-extracellular matrix interactions between endothelial precursor cells and the surrounding interstitial collagen matrix during vasculogenesis. As a graduate student, she received the National Science Foundation Graduate Research Fellowship, Ronald W. Dollens Graduate Scholarship, and several awards for poster and oral presentations. She is significantly involved in educational and community outreach and is an active participant in organizations that promote K-12 and undergraduate outreach initiatives, as well as mentorship programs to support professional development and student success.